The rotor seen above is driven by one of the camshafts via a hinged flat-bladed coupling which forms a universal joint. 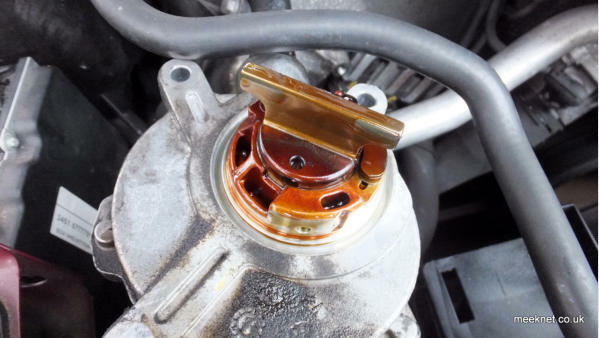 It drives the flat bar seen above that forms a seal to the sides, top and bottom of the pump cavity and as this rotates the displacement-change pulls air from the top connection which leads to the brake booster. 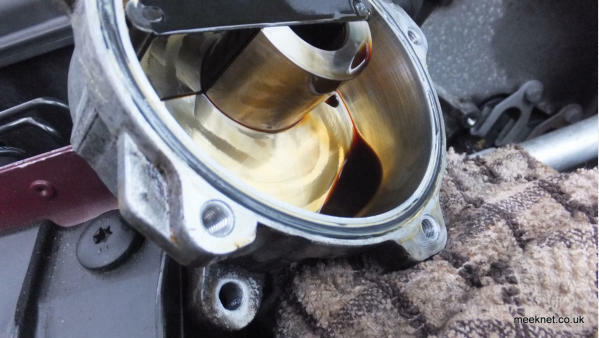 The air is pushed into the crankcase and is evacuated by the crankcase ventilation system. Anyway, enough blurb, let’s get the blighter off and start fiddling with it - the pump has to come off to replace the rear o- ring, although this one usually doesn’t leak we might as well change it while we’re here. 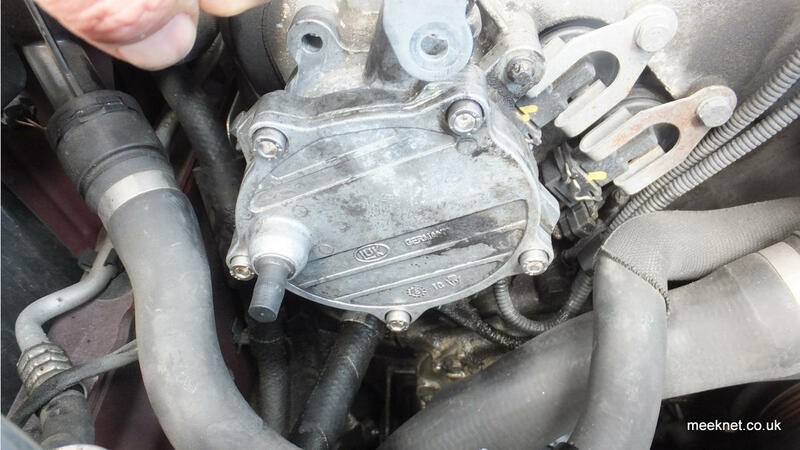 On the E63/64 there is a strange bracket that does little more than support the power-steering hose that leads to the cannister. The bracket has a separate part that supports the hose which is secured with a 10mm nut - so break out the ratchet and a 10mm socket to separate the two parts - then lift the pipe out of the way. 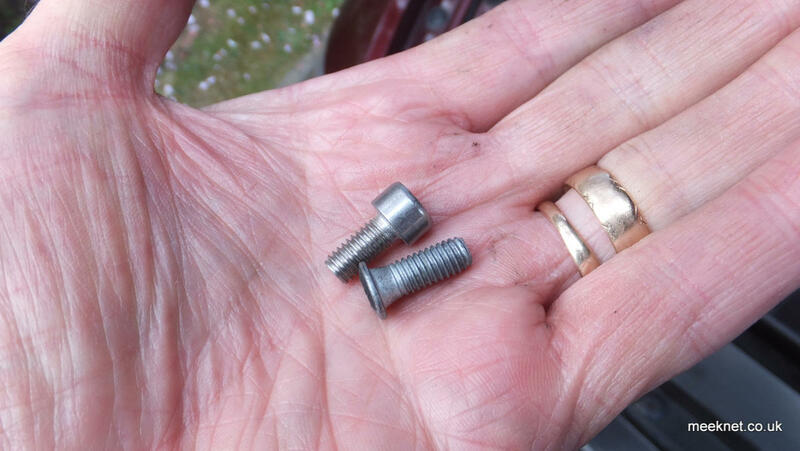 The rest of the bracket is held in place using the same three long male Torx bolts that hold the pump in place and these come off next - try not to let the pump pop out of the timing case before you are ready, it is reasonably heavy and fragile. 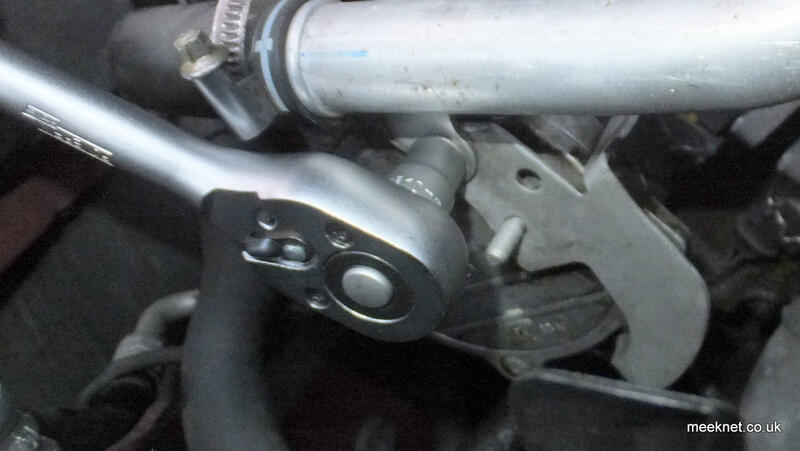 The remaining connection is the vacuum pipe to the brake booster which is held by a one-use hose clamp. A grown-up thing to do would be to cut off the clamp and then replace it later, but I don’t have a clamp of that size around so I decided to leave it connected. 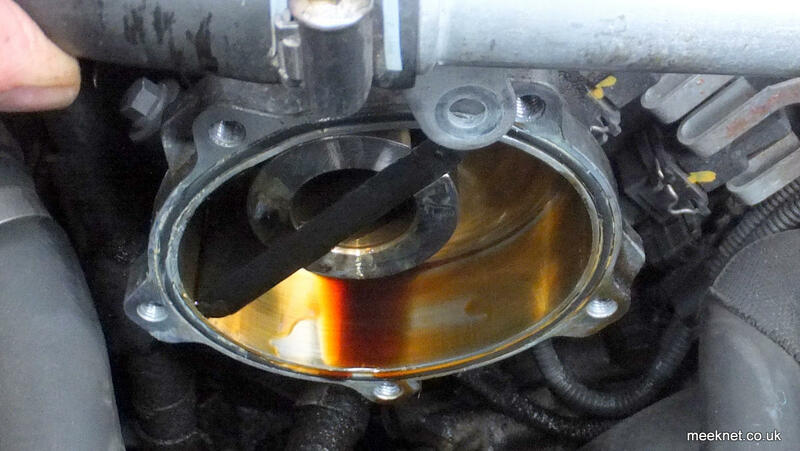 So, I got a cloth ready and pulled the pump from the cover, it popped out easily with a few drops of oil. Below can be seen the flat blade that couples to the camshaft - as the pump popped off the o-ring immediately fell off - we will use grease to keep the new one in place when we refit the pump. Turn the pump over, protecting the back using a soft cloth. The cover is held on by five special Torx fixings and are reasonably tight so use a decent bit. 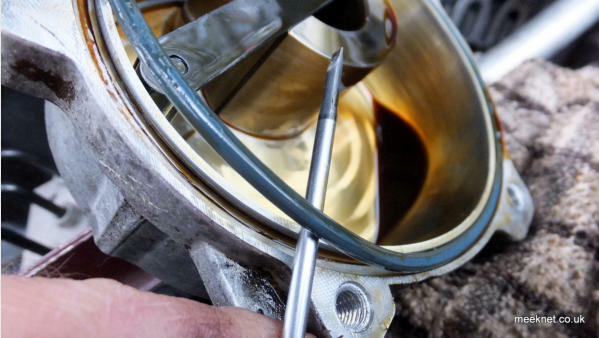 The pump contains a small amount of oil for lubrication and it is best at this stage to pour it out as we need to refit the pump with the cover removed. 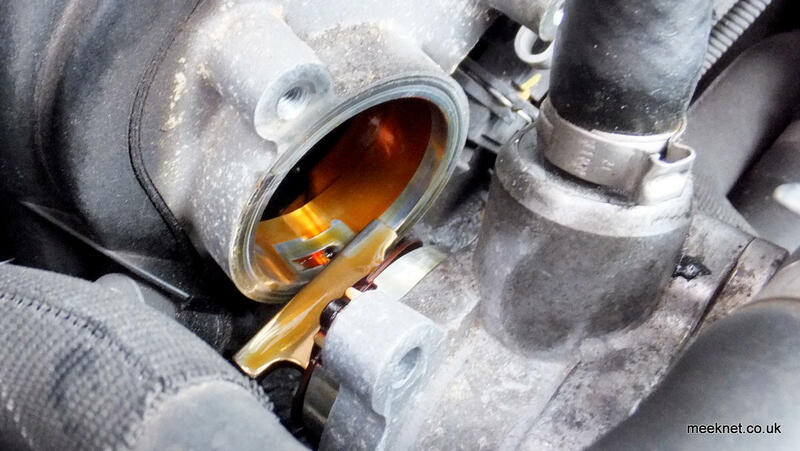 When replacing the o-ring give it a good greasing and also give the cover a bit of a greasing on the mating face. We are now going to refit the pump to the engine before we refit the front cover. 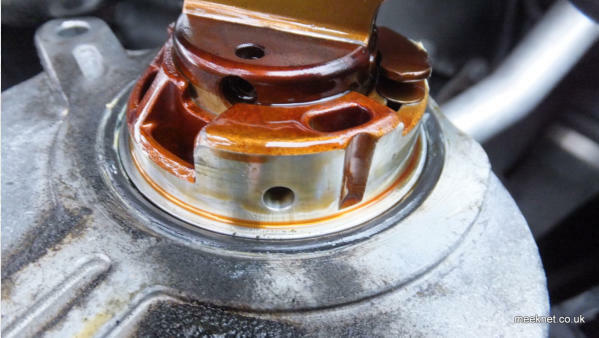 The reason for this is to ensure that the flat coupling mates with the slot in the camshaft properly - the failure to do this causes the lugs of the pump to snap off and may damage the coupling. I have seen loads of pumps damaged in this way so I was happier to play it safe. 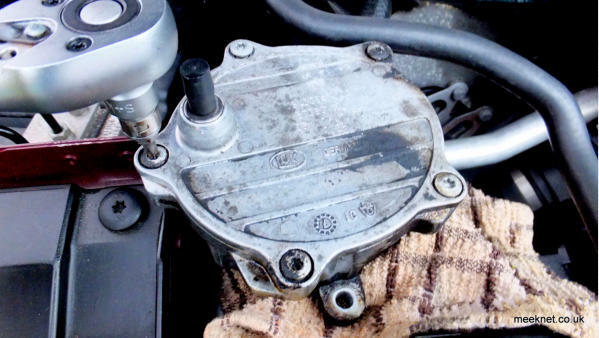 You will find that as the pump is pushed back into the timing case, the rotor (seen below inside the pump) will move outwards - so turn the rotor as the pump is pushed in so that the blade coupling mates with the slot in the camshaft and the pump can be pushed in fully with the rotor flush with the face of the pump. Temporarily refit one of the long male Torx fittings so that the pump is held in place while the front cover is fitted. All done, Time for a Cup Of Tea Update 2018 - 1 year later: All good, dry as a bone! It’s been a couple of weeks now, including a good thrashing most days, and there is no sign of a leak - it would probably have been easier to use some sealant, but I’m happier without it! 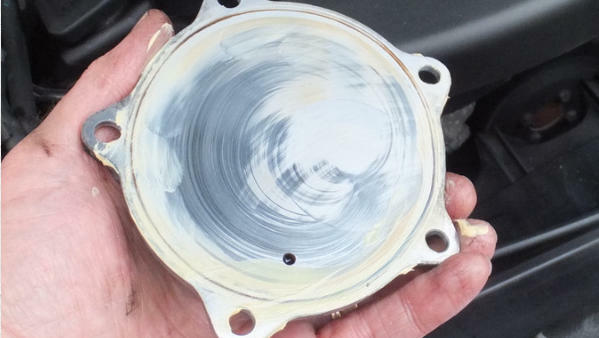 I usually use a tub of Duckhams Keenol for greasing o-rings so they stay put - but a quick search reveals that this is classed as a ‘vintage grease’ on Ebay, anyway something thick and gloopy will do nicely. The pictures below show the o-ring groove and then the new o-ring greased into place so that it doesn’t immediately drop off again. And that fixed it nicely, the washers spread the load further across the cover, enough to compress the o-ring sufficiently to form an effective seal. 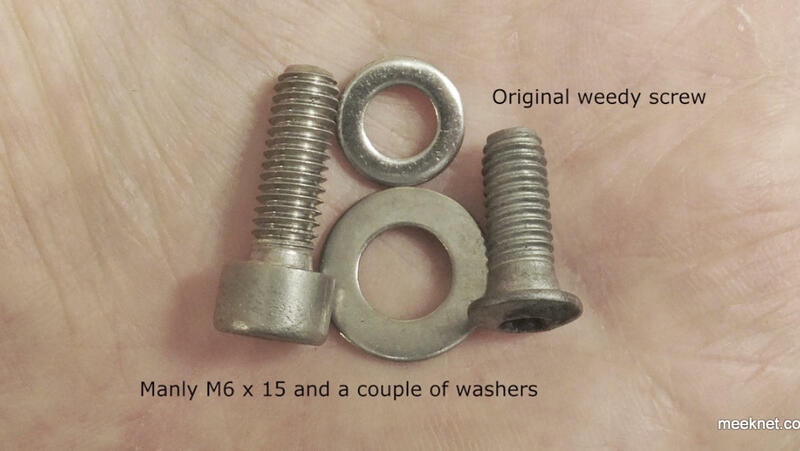 The extra washers can only be fitted on the fixings that are not covered by the bracket as this gets in the way - so I have two M6 x 10mm fixings under the bracket and three M6 x 15 with the washers. So, back on with the bracket making sure the pump is not pulled away from the timing cover - you have to ensure the pump blade stays coupled to the camshaft, and then refit the power steering pipe back to the bracket with the 10mm nut. All of the fixings need little more than a good nipping up.